Kimberly Bryant, Smithsonian American Ingenuity Award Winner and tech education pioneer, will speak on “Black Girls CODE,” 6:30 p.m., Wed., Feb. 24, in BCC’s auditorium. The presentation is free and open to the public but seating is limited. You can reserve tickets at: https://www.msri.org/general_events/21817. 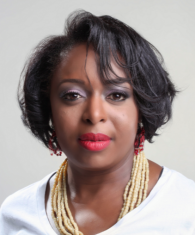 Ms. Bryant, founder and executive director of Black Girls CODE, has worked to empower girls of color to become innovators in STEM fields, leaders in their communities, and builders of their own futures through exposure to computer science and technology. Her talk is part of the “Not on the Test: The Pleasures and Uses of Mathematics” series of 2015-16 public lectures, which are jointly presented by the Mathematical Sciences Research Institute (MSRI). They are made possible by funding from the Simons Foundation. Black Girls CODE, a non-profit organization dedicated to “changing the face of technology” by introducing girls of color (ages 7-17) to technology and computer science with a concentration on entrepreneurial concepts, has set out to prove to the world that girls of every color have the skills to become the programmers of tomorrow. Ms. Bryant’s 25+ year career in the pharmaceutical and biotech industries was spent as an engineering manager in technical leadership roles for various Fortune 100 companies, including Genentech, Merck, and Pfizer. Since 2011, she has helped Black Girls CODE grow from a local organization serving only the Bay Area, to an international organization with seven chapters across the United States and in Johannesburg, South Africa. In 2013, she was on Business Insider’s list of “The 25 Most Influential African-Americans in Technology” and was named to The Root 100 and the Ebony Power 100 lists. In 2013, she was invited to the White House as a Champion of Change for her work in tech inclusion and for her focus on bridging the digital divide for girls of color. In 2014, she received an American Ingenuity Award in Social Progress from the Smithsonian Institution and was presented with the Inaugural Women Who Rule Award in Technology via Politico. She has been identified as a thought leader in the area of tech inclusion and has spoken on the topic at events such as Personal Democracy Forum, TedX Kansas City, Platform Summit, Big Ideas Festival and many others.